Extensive experience and expertise in all types of construction. A Comprehensive List from apartment complexes to manufacturing facilities. Project Scope: Earthwork, asphalt paving and landscaping for three soccer fields. Design Firm: Fishbeck, Thompson, Carr & Huber Inc.
Project Scope: Concrete curbs, ramps and sidewalks. Project Scope:Detention pond, concrete driveway and parking lot. Project Scope: 2000 SF Green building with structural steel/wood frame/CMU construction. Design Firm: Burgess & Niple, LTD.
Project Scope: Renovation of office/retail space including interior carpentry, painting, and lighting work. Project Scope: Complete interior remodeling with concrete and site-work. Project Scope: Tenant finish for jeweler. Design Firm: Burgess & Niple, URS Corp.
Project Scope: Low wind turbine with 60 ft. pole and 42 ft diameter propellers designed to be operated at low wind speeds of 4MPH and up. First of its kind in North America. Project Scope: Full coversion of exsiting service station including a structural addition. Design Firm: KBA Architects, Inc.
Project Scope: Interior remodel, addition, site/civil work, drive thru. Project Scope: 2900 SF metal stud/brick/structural steel branch bank with drive thru lanes. International Saw & Knife Co.
Project Scope: 6000+ SF addition to Park District, construction of office space and remodeling of building. Design Firm: Architectural Resources Corp.
Project Scope: 30,000 SF structural steel building, rescue facility, training center, and headquarters. Project Scope: Recreational amphitheatre, site and civil work. Project Scope: Pre-engineered building for use in water softening. Project Scope: Air Stripper Medial Replacement. 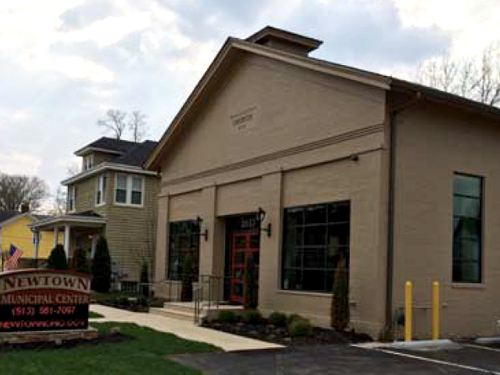 Project Scope: 4,100 SF combination wood-frame, bar-joist/steel column single story building with a full basement. Design Firm: John Maxwell, P.E.